It would be quite the understatement to say that NFL Commissioner Roger Goodell has a major credibility issue to deal with after the controversial “no-call” that occurred in the NFC Championship Game last weekend. Now nearly a week later, Goodell has still not commented about the controversial play which has since dominated the attention of the sports world following the game’s conclusion, which saw L.A. advance to the Super Bowl instead of New Orleans. 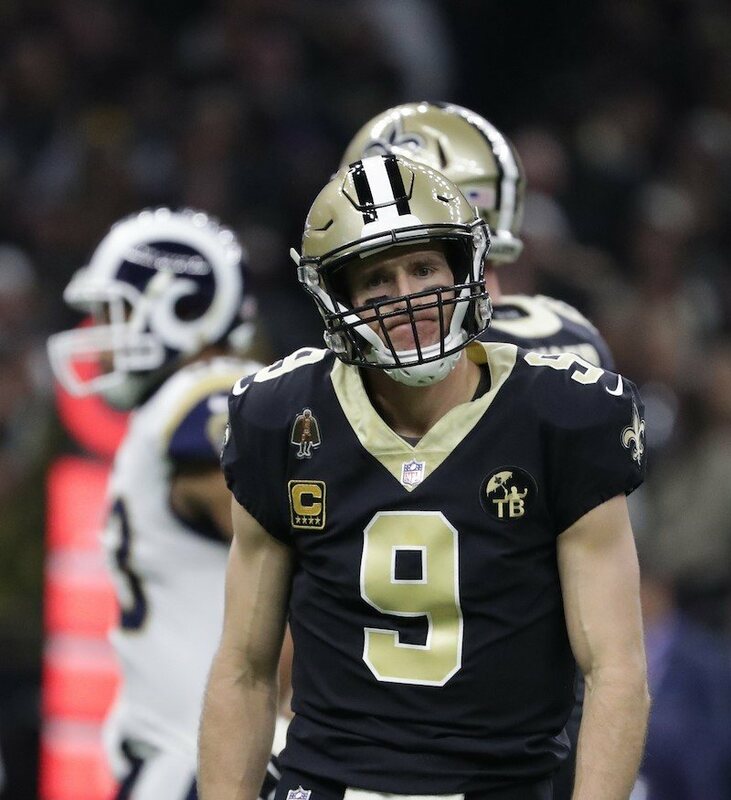 According to the good folks over at Pro Football Reference, the Saints would have had a 90.76 percent chance of winning the game if the pass interference call had been made, since it would have given them an automatic 1st Down and they could have run out most of the remaining time on the clock before kicking the winning field goal). 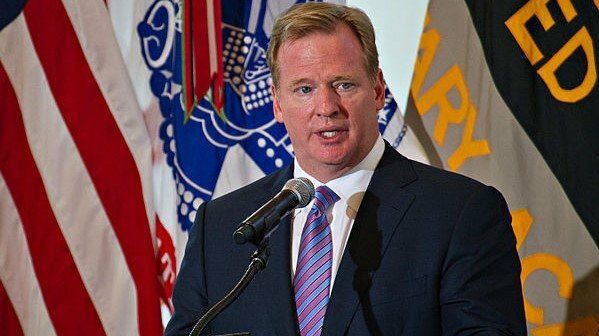 But now having been derelict in his duty as the League’s official “face and voice” by blatantly choosing to ignore the very obvious, Goodell now has the equivalent of a public-relations NIGHTMARE on his hands. Part of that nightmare stems from the prevailing thought among some fans — whether it be Who Dats or fans of other NFL teams — that the League has intentionally rigged games to predetermine a winner before the contests are even played. While there is no evidence to substantiate such a claim, by choosing to stay silent, Goodell is perhaps unintentionally adding fuel to the conspiracy theories that the League has been avoiding for decades. Yesterday’s “announcement” by an unnamed League source that Rams cornerback Nickell Robey-Coleman (the player guilty of the penalty on the play) had been fined an amount of $26,739 for the helmet-to-helmet shot on Saints wide receiver Tommylee Lewis did little to quell the unrest among Saints fans; including those who have begun to buy into some of those very same conspiracy theories. The most prevalent of those theories strongly suggests that the NFL wanted the “largest market” teams in the Super Bowl; meaning this year they wanted Los Angeles to advance to Super Bowl LIII (53) instead of New Orleans. As far-fetched as that may sound, the story gained even further traction once it was revealed that at least two of the game officials were actually from Los Angeles or the surrounding area of Southern California. Certainly it would lead one to ask: is there really some kind of conspiracy at play here, or merely a random coincidence? Interestingly enough, before last Sunday’s contest the conspiracy theorists were actually on the other side of the equation; angry Rams fans were gathering together a petition to have the game’s head referee, Bill Vinovich, and his crew removed from officiating the game because he was allegedly biased against the Rams. Los Angeles was (0-2) during the 2018 Regular Season in games where Vinovich and his crew officiated, and the Rams had been a combined (0-8) in games called by his crew dating all the way back to 2012. Of course after last Sunday’s outcome, Rams fans are unsurprisingly singing a much different tune. Perhaps the more bittersweet reality for Saints fans was that Vinovich and his crew actually were awarded the assignment by the League because of the quality job they had done all season long. It’s those high standards the crew exhibited all season that have fueled the “conspiracy theory” crowd even further. It’s being insinuated that there would be absolutely no way for the two referees closest to the play — side judge Gary Cavaletto and down judge Patrick Turner — to blatantly miss what may have been the most obvious pass interference call in the NFL’s 100-year history. Now, there is a growing sentiment among many within the League to further expand instant replay, making pass interference calls reviewable, particularly within the final two minutes of a game. But that will be up to the NFL Competition Committee to decide, while Goodell (at least for now) seems perfectly content to remain silent on the issue. But one can’t help but view Goodell’s stance on this matter to be completely disingenuous. Goodell’s silence speaks volumes, and it gives off the impression (fair or unfairly) that both he and his cronies at Park Avenue in downtown Manhattan care a lot more about making the almighty dollar over the concerns of their loyal and devoted fans. If Goodell and the League really wanted Saints fans to move on and get on with their lives, then they could have been proactive by simply “doing the right thing” and taking responsibility (and accountability) for the actions of the referees in question. Handing down punishment (up to the point of being fired) that would be appropriate for the controversial no-call would do. But it’s their inaction that has led Saints fans to take matters into their own hands. Lafayette-based attorney Clé Simon is asking for a legal injunction to stop the Super Bowl next Sunday. Simon told Lafayette Daily Advertiser reporter Claire Taylor that he and law partner Kevin Duck of Simon Law Offices sent a letter by registered mail and regular mail to Goodell, urging him to invoke a rule that would overturn or force a replay of the game. Via the report, Simon’s letter said the attorneys are investigating all potential causes of action against the NFL and the NFL Referees Association. However in this case, the no-call was considered “human error” and not an extraordinary act (which by definition of the rule would be something like a meteor from outer space landing on the stadium). Nevertheless, it still has to be considered a shame that it would take something so extreme for Goodell and his sycophants to finally take action. As it turns out, they very likely don’t have much of a choice. The uproar that has grown exponentially from Sunday’s embarrassment has become unprecedented; and that fault lies solely on the shoulders of Goodell. The League has pushed back against those who have questioned the integrity of the game, but those questions would be under a lot less scrutiny were they actually devoted or committed to fixing the problem. Goodell’s rather notable and distinctive silence on the matter suggests otherwise. Also, lest we forget: Goodell and the League still owe the Saints, head coach Sean Payton, and the entire city of New Orleans an apology for the events surrounding the BountyGate situation in 2012; which was the alleged pay-to-injure scheme concocted by then-Saints defensive coordinator Gregg Williams. The NFL and Goodell — in what can only be described as an obvious rush to judgement — made an extreme and somewhat radical decision to harshly punish the Saints organization for a crime/infraction that they never were proven guilty of. In a nutshell: Goodell and the NFL moved far too quickly on the entire “BountyGate” controversy so they could claim that they were being “proactive” on player safety and head trauma/concussion issues in order to protect their public image. In fact, they ultimately opted to punish the Saints to the very highest degree possible for those very same reasons. Goodell and his minions at 345 Park Avenue were at that time fearful that they were about to get a huge wave of public backlash over player safety. In the subsequent rush to cover themselves, they handed out the worst punishment that they could come up with; to cripple the New Orleans franchise and its ability to win games that year (the 2012 NFL Season). Now here we are seven years later, dealing with the lingering fall-out that remains from last Sunday’s controversial ending. The harsh reality is that the Saints franchise has been “screwed” by Goodell and the League not once but now TWICE in the past decade. This time it’s Goodell’s inaction instead of his reaction, that has put Who Dats everywhere in a state of bitterness and pure rage, and that’s unlikely to wane any time soon. Roger Goodell’s continued silence on the most controversial call in NFL and possibly Pro Sports history, speaks volumes. 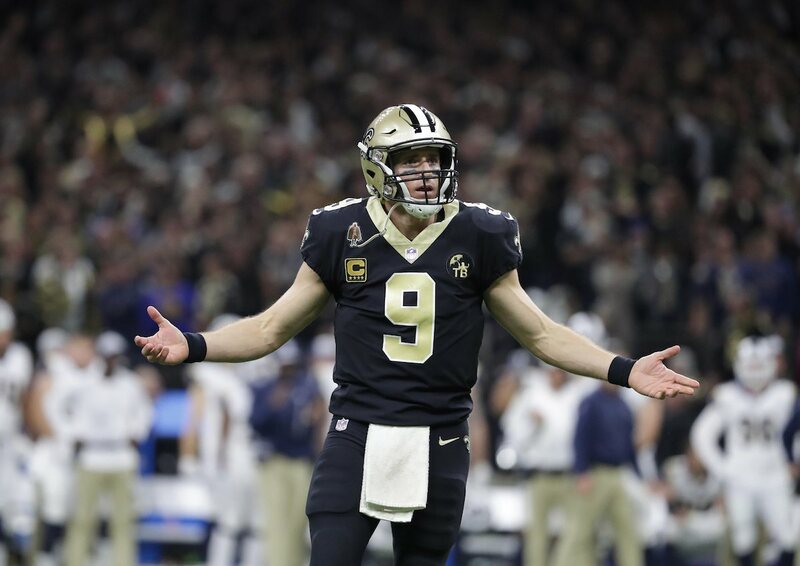 EDITOR’S NOTE: Big Easy Magazine will continually update this controversial topic throughout the 2019 Saints off-season, as the situation warrants. It’s going to make this the first year we don’t have a Winner for Super Bowl it will be the first Fake Super Bowl I am not watching I find someone to do . Fantastic article. Thanks for including Bountygate PR stunt by Goodell, whose actions against the players were overturned by Tagliabue and whose employees concern for CTE did not extend to Lewis. Everyone saw the helmet2helmet spear and PI in real time. Four refs saw it as demonstrated on film. So the non call was not human error but deliberate. Parker had his hand on his flag. But he was not part of Vinovich’s usual gang and was admonished by Cavaletto and folded under pressure. These refs néed to be questioned under oath and investigated. Because as it stands their failure to throw the flag while staring at the play looks like intentional misconduct, which must be investigated thoroughly. Remember Tim Donaghy. Really should have a senate investigation into the nfl .. this clearly is actions of intergerty! Plenty of things are out about the nfl rigging games .. and their own lawyer said it in a interview and came up dead in New York !! So why isn’t this investigated one any level !! After viewing this play over and over again and seeing where both REFEREES was at there’s no way a flag wasn’t thrown it was so blatant that at least 3 infractions was noted….1.Helmet2Helmet 2. Pass Interference and 3. Targeting and for either REFEREE not to call not one of these infraction then we all know that they was told to make sure that the Saints do not Advance.. I believe that it was supposed to been done so that no one would questioned the play but with 1:45 seconds left on the clock and New Orleans about to get and 15 yd penalty and able to run out the clock they had to look the other way and not make the call thus us why Roger GO-DA-HELL hasn’t made an appearance this was his doing and if investigated thoroughly im sure that it will be proven ROGER GOODELL RIGGED THE NFC CHAMPIONSHIP. In the last 5 years, I have came to believe the NFL is rigged. 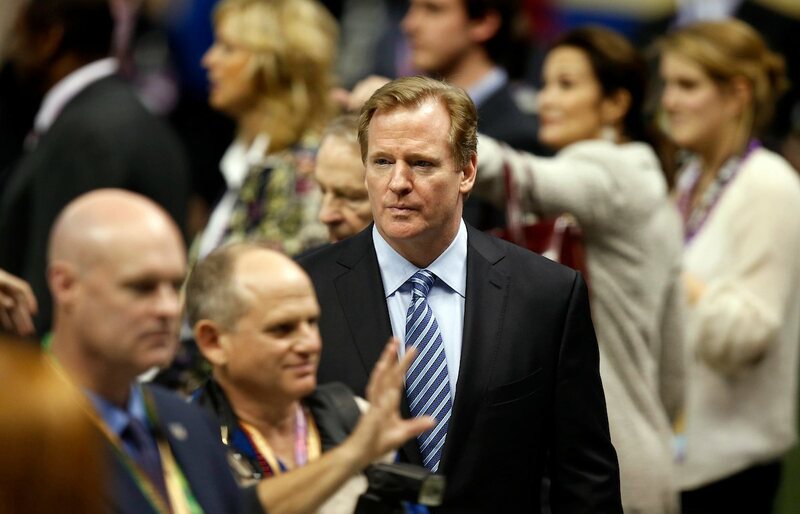 Forwhat ever reason,Goodell and the nfl bunch want the patriots to win again. My family and some friends will be boycotting the nfl. This means no super bowl watching,purchasing of clothes,shoes,ect.,and not going to any more games. The proper thing to do in this instance was to on Monday announce the mistake,take ownership of it, either replay the gam or at least pick up from the point of the mistake, so that justice could be served. I wished millions and millions of fans would boycott the super bowl and the nfl. 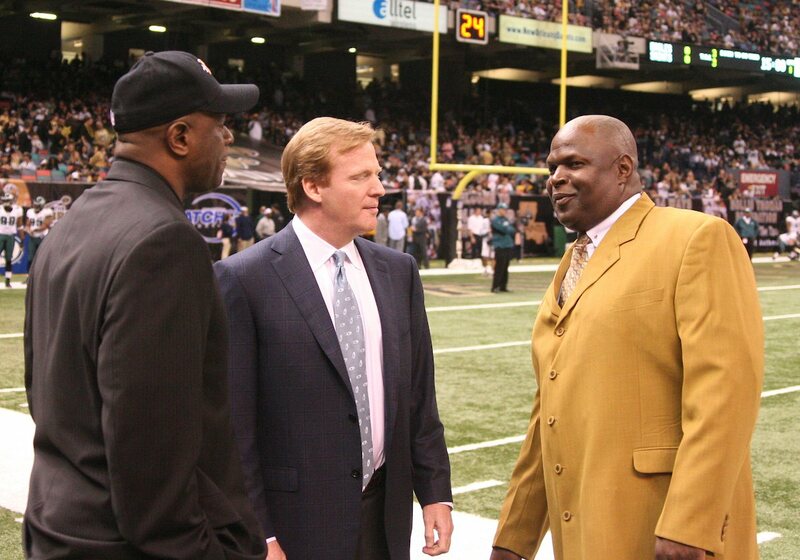 I always feel that Goodell cares zrro about the Saints organization .And that he had never and will ever apologize for his handling of the so called bountygate situation.I have had no respect for him and the league since. When I saw the replay of the ref goijg to throw a flag and the other ref waving him off, I knew there was an already chosen outcome of the game. Outstanding article; we know Roger the Fakedell is not saying anything because he is working on his script. He doesn’t practice what he preach, especially when it comes to the Saints. That ref bullied the other ref to not throw the flag. Conspiracy enough for me. Put Goodell in front of the Senate and every judge in the land that is willing to listen. This is corruption worse than what FIFA committed. This is corruption to the absolute highest degree TWICE in 7 years. Every man, and everyone under his power at Park Ave. have no business being near another football game ever again if the league ever wants to have any modicum off so-called “integrity”. Right now they have as much integrity as Al Capone or Jimmy Hoffa or any other gangster or criminal mob in US history. That man belongs in Alcatraz!